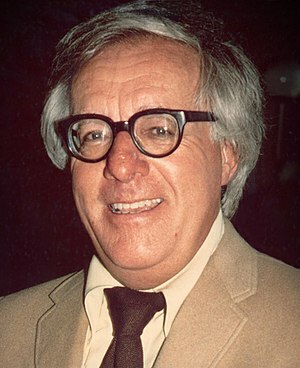 In today’s blog, we are discussing the great science fiction writer Ray Bradbury. Authoring such classics as The Martian Chronicles and Fahrenheit 451, Mr. Bradbury is a living legend. Inasmuch as we both live in the same general area of Los Angeles, I have seen Mr. Bradbury on countless occasions over the years. He is one of the nicest people you will ever meet. This gentleman will sign autographs tirelessly until every collector has been taken care of. Many of today’s celebrities could take a lesson from Ray Bradbury. He is class all the way. Please check out my autograph web store at www.autographedfirstdaycovers.com. This entry was posted in Uncategorized and tagged author, science fiction, science fiction author. Bookmark the permalink.